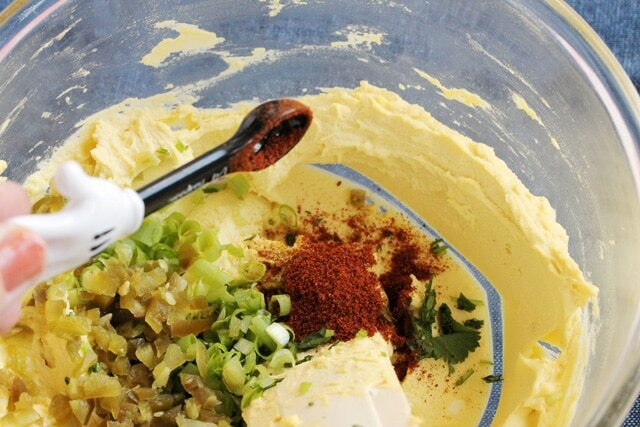 Need an idea for what to bring to a potluck? Or an appetizer for game day? 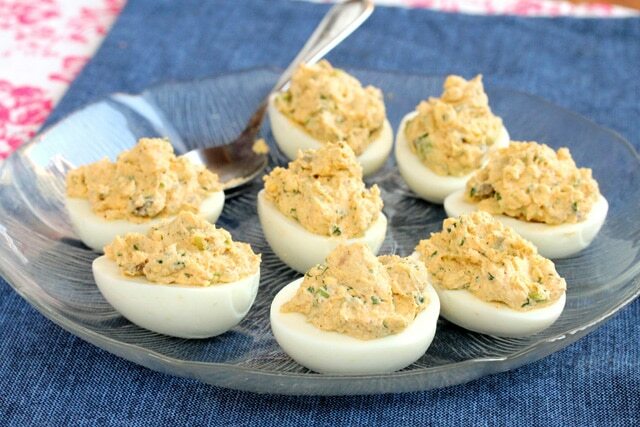 These scrumptious deviled eggs have you covered. These spicy deviled eggs make a great finger food appetizer and are also handy to have in the fridge for a quick lunch or snack. 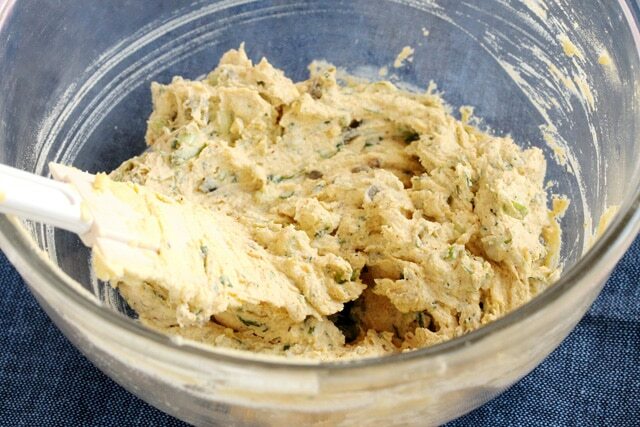 They last nicely in the fridge which works out great when making them ahead of time. 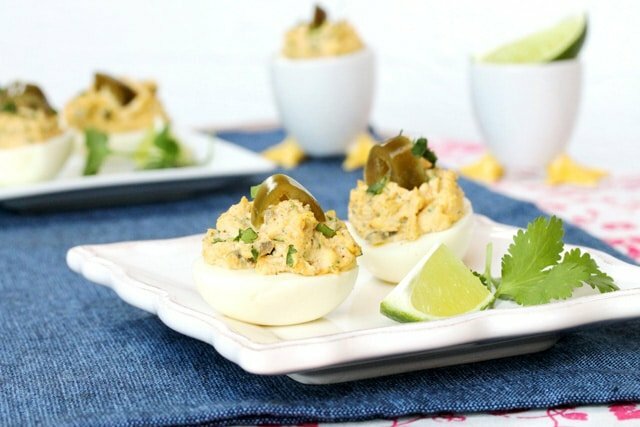 For a little deviled egg, each one of these packs a spicy punch thanks to hot nacho jalapenos (from a jar) that are in the egg filling as well as on top of the deviled egg for garnish. 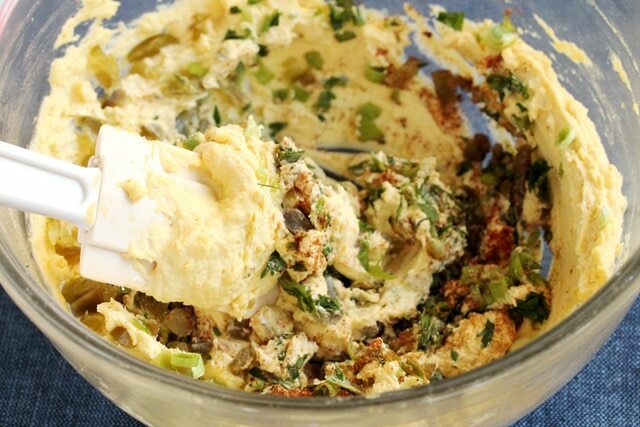 The egg filling has chili powder, ground cumin and chopped cilantro in it which adds a wonderful “south of the border” flavor. Just the right amount of salt really makes the taste pop in these deviled eggs so make sure to do a taste test on the filling and add more salt if needed. 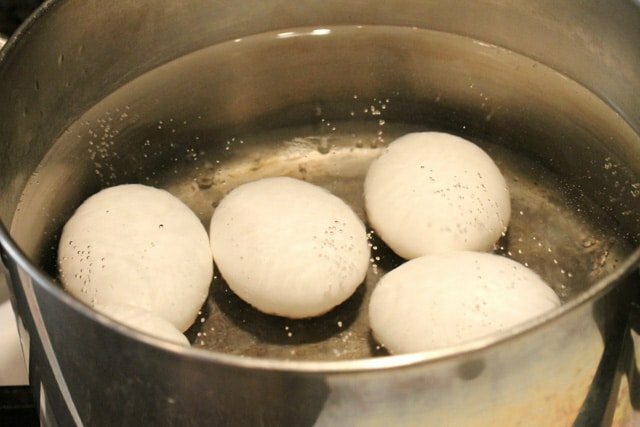 As easy as it sounds to “boil an egg”, there is actually an art to it so not to overcook the eggs. 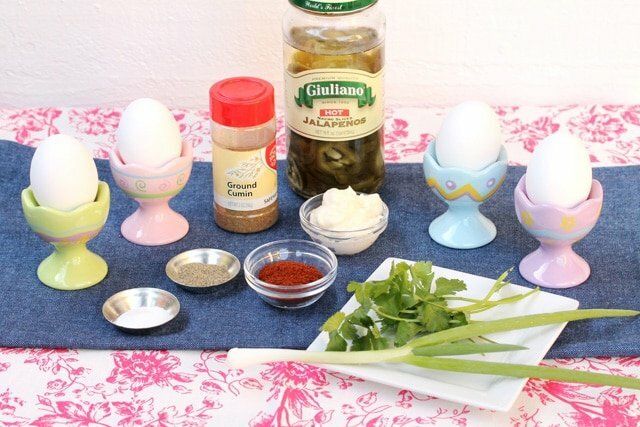 Here are some great tips on “How to Make Perfect Hard Boiled Eggs” from Simply Recipes. Boil the eggs, let them cool, and remove the shell. Cut each egg in half lengthwise. 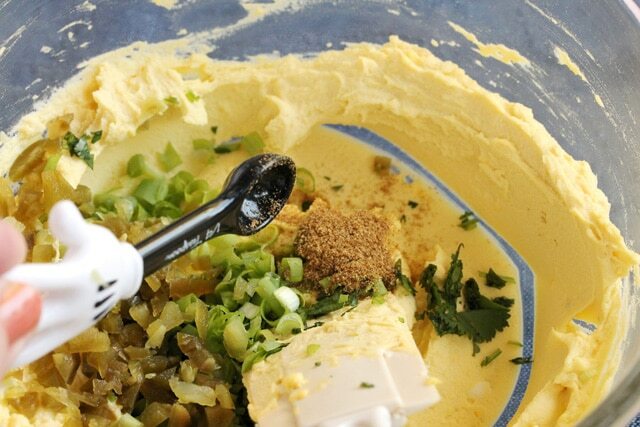 Carefully remove the yolk from each egg with a small spoon, and put them in a medium size bowl. 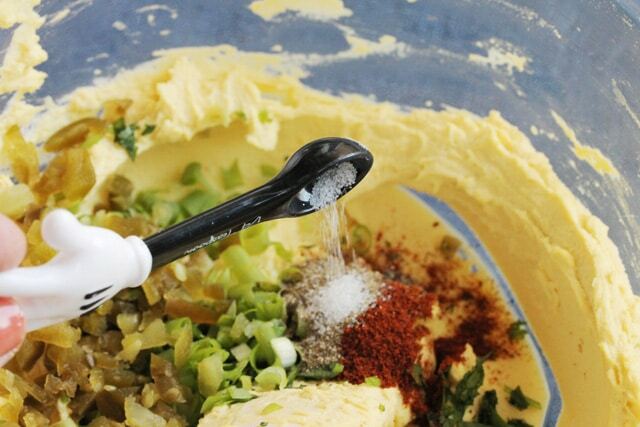 Use a fork to mash the yolks into the smallest pieces possible. 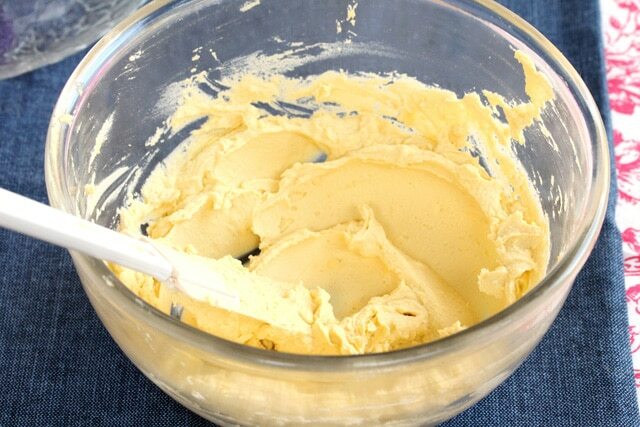 ….until the mixture is smooth. and nacho jalapenos. Then add them to the egg mixture. This is a good time to do a quick taste test to see if more salt is needed. 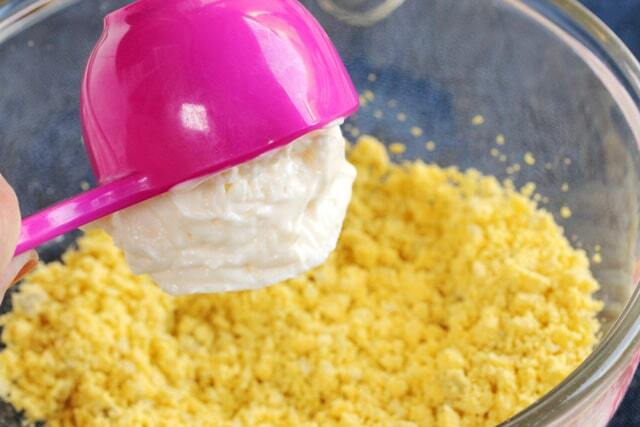 Fill the hollowed egg whites generously with the egg yolk mixture. There may be a couple of egg whites leftover. 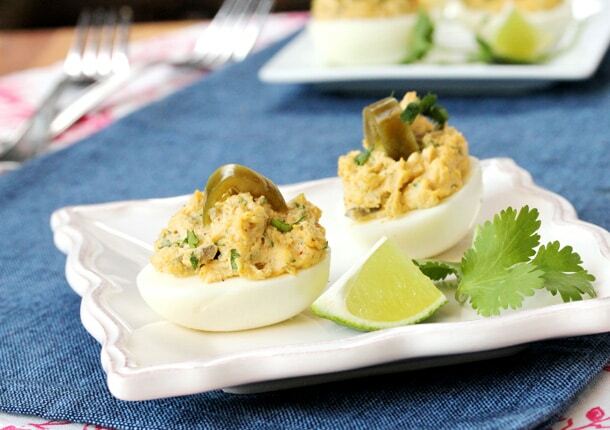 Top each deviled egg with a slice of nacho jalapeno. 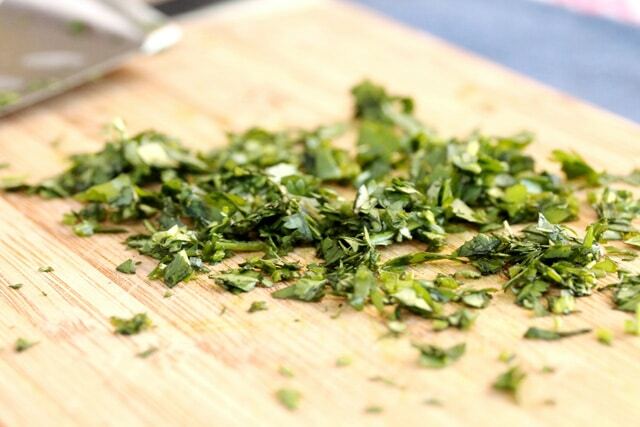 Serve with a piece of lime so the juice can be squeezed on top of the egg right before eating and enjoy. These make-ahead spicy deviled eggs are an easy side dish that's perfect for potlucks, appetizers, or even a quick lunch or snack. 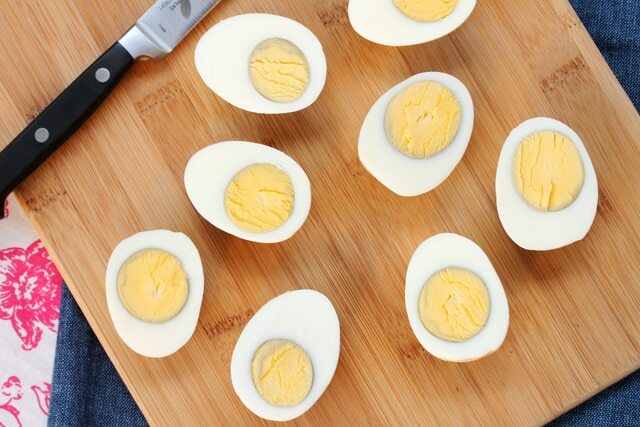 Cut each cooled hard boiled egg in half lengthwise. 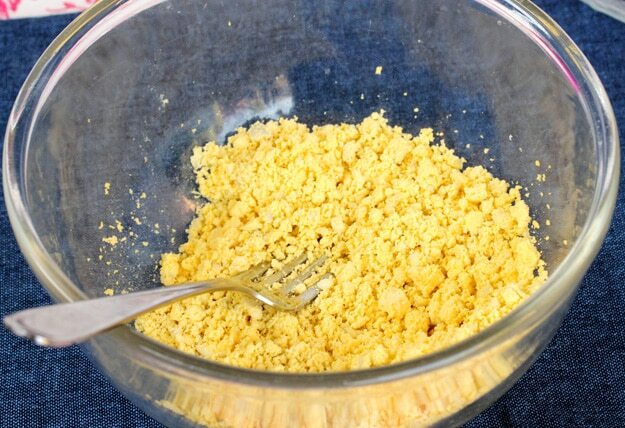 With a small spoon, carefully remove the yolk from each egg and put them in a medium size bowl. 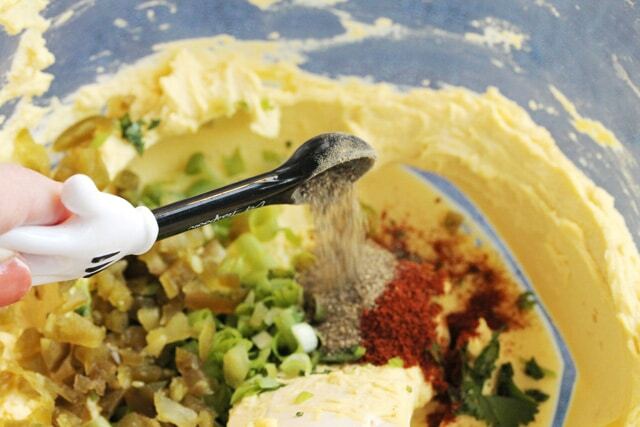 Use a fork to mash the yolks into the smallest pieces possible. 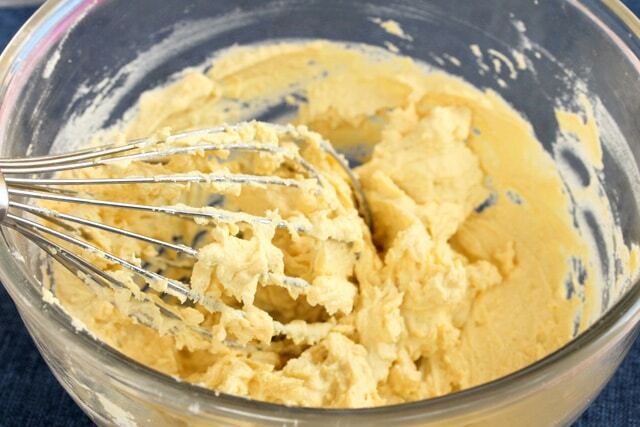 To the bowl, add mayonnaise and whisk it together with the egg yolks until the mixture is smooth. 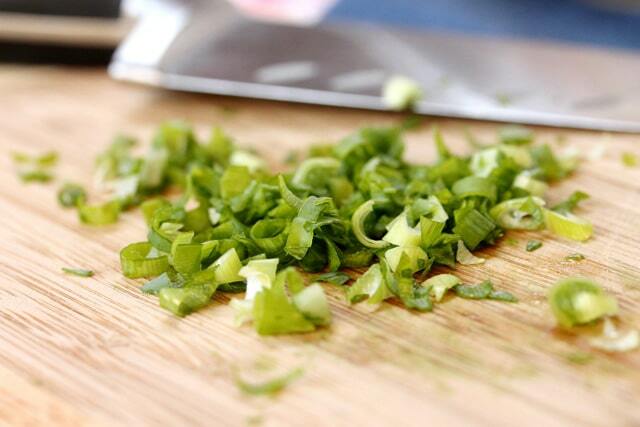 Add cilantro, green onion, chopped nacho jalapenos, cumin, chili powder, pepper and salt to the egg mixture. Mix together. Give it a quick taste test to see if more salt is needed. Fill the hollowed out egg whites generously with the egg yolk mixture. There may be a couple egg whites leftover. Top each deviled egg with a slice of nacho jalapeno for garnish. Serve with a piece of lime so the juice can be squeezed on top of the egg right before eating. Just made these…Yumm!! Gotta remember though, in TX, when something is marked “spicy” (i.e. diced jalapenos): it’s SPICY! Hi Amber! so glad you liked these. 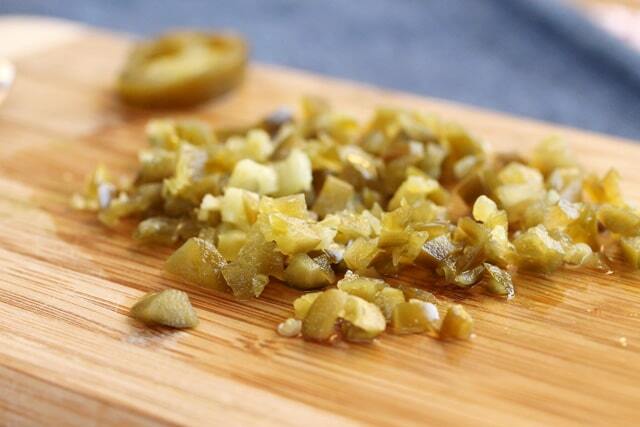 Now I’m thinking that I should have added more jalapenos in the recipe for TX taste buds! Have a great rest of the week! Hi Heide, thank you for stopping by!